"American Horse Slaughter Prevention Act", "Government Accountability Office"
The American Horse Slaughter Prevention Act is Congress's latest attempt at banning horse slaughter domestically. This proposed legislation also prohibits the exportation of horses to other countries for slaughter. Although meritorious, legislation of this nature has been proposed before, to no avail. Consequently, regulation of this practice will be left with the states. As the horse capital of the world, us Kentuckians need to consider if this ban is really beneficial to the welfare of the horses that Congress is so keen on protecting. 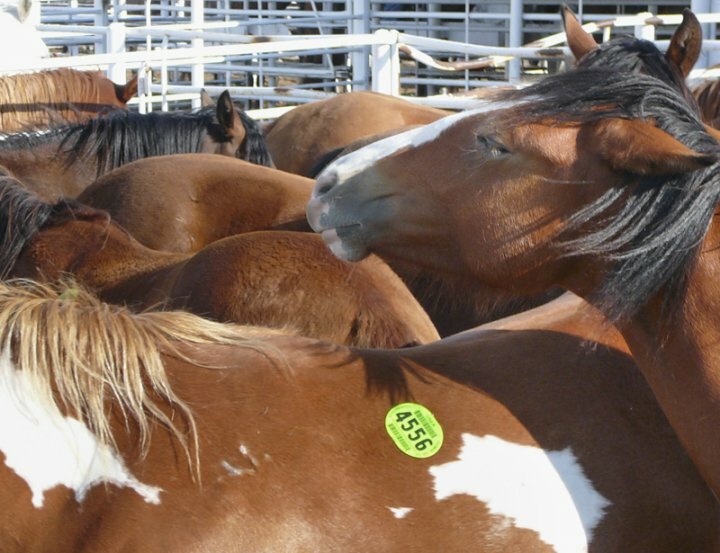 From Fiscal Year 2006 to 2011, Congress included language in its annual appropriations bill that prohibited the USDA's use of federal funds to inspect horses being transported for slaughter and horses that were intended for human consumption. During that period, the horse slaughter industry was essentially banned in the United States; however, not outright. Circumventing this prohibition, horses were sent to Canada and Mexico for slaughter. Ironically, the well-being of these animals was hurt by this prohibition. The journey these horses took to our bordering countries was long and hard, and the actual slaughter was far less humane than what was done domestically. Recognizing this result, the Government Accountability Office issued a report that condemned the banning of horse slaughter domestically. Heeding their warning, federal funding was restored to the USDA, which allows horse slaughter to once again commence in the United States. Kentucky is home to roughly 320,000 horses, putting it fifth in horse population in the nation. As host to the most prolific horse racing event in the world, The Kentucky Derby, Kentucky has vested interest in maintaining its pro-horse persona. The question then presents itself, should the State of Kentucky enact legislation that prohibits any involvement in the horse slaughter industry? The answer is difficult. Morally, the execution of animals that are staples of American culture is hard to stomach. However, due to the dismal state of our national economy, many horse owners are unable to care for their animals. In Kentucky alone there are 60,000 to 90,000 unwanted horses. The problem has led to unregulated breeding, which has further inflated the crisis. Numerous non-profit organizations have responded to the situation, but their level of funding leaves only a minimal remedial effect. My solution to the problem may enrage some pro-horse individuals and groups, but it is endorsed by the GAO. Since Kentucky has so many horses, and the number of unwanted horses is growing, why not construct a horse slaughter facility in the Commonwealth? The fate of these horses is much more catastrophic when they are shipped to unregulated slaughter facilities in Mexico and Canada. Why not keep these animals at home, and allow for their slaughter in regulated facilities? This industry could provide a stimulus to Kentucky's economy since horse meat is heavily sought after worldwide. At the end of the day, this position is in the horse's best interest, and those who think otherwise are not acclimated with the facts. H.R. 2966: American Horse Slaughter Prevention Act, Govtrack.us, http://www.govtrack.us/congress/bills/112/hr2966 (last visited Oct. 25, 2012). American Horse Slaughter Prevention Act, Animal Welfare Institute, http://awionline.org/content/american-horse-slaughter-prevention-act (last visited Oct. 25, 2012). Action Needed to Address Unintended Consequences from Cessation of Domestic Slaughter, United States Government Accountability Office, 8-9 (June 22, 2011), http://www.gao.gov/new.items/d11228.pdf. Stephen Dinan, Obama, Congress Restore Horse-Slaughter Industry, The Washington Times (Nov. 30, 2011), http://www.washingtontimes.com/news/2011/nov/30/obama-congress-restore-us-horse-slaughter-industry/?page=all. Dennis Johnston, Why?, Horse Capital of the World (Jan. 21, 2010, 4:25 PM), http://horsecapitaloftheworld.blogspot.com/2010/01/why.html. Wendy Mitchell, Bill Could Re-Open Horse Slaughterhouses, The Ledger Independent (Feb. 3, 2010, 10:00 PM), http://www.maysville-online.com/news/local/bill-could-re-open-horse-slaughterhouses/article_2ebf741c-9c43-5814-bd5e-5fafa1d9dbbe.html. Horse Slaughterhouses Gain Unlikely Ally. PETA?, WHAS11.com, http://www.whas11.com/news/Horse-slaughter-re-legalized-in-United-States-134854-18.html (last updated Dec. 2, 2011). Julie Harker, Americans Eat Horse Meat, Brownsfield Ag News for America (June 8, 2012), http://brownfieldagnews.com/2012/06/08/americans-eat-horse-meat-study-published/. Older PostHow Does Lasix Enhance Performance in Horses?